A licensed private investigator can give you information about where your child’s deadbeat father or deadbeat mother is living, where they are working and if they have any assets in their name. If your child’s other parent is not making payments for child support, but continues to earn income in some form, we may be able to help you collect where the government falls short. Our job is to get you as much information as possible about them so that you can get the legal system to take action and get your child’s money. Let’s face facts, there are many child support enforcement cases like yours and the court system is overloaded. Your one “deadbeat” parent case may not get the attention it deserves. The court is not designed to investigate these deadbeat parents and most courts have very limited resources to work with in this regard. They do the best that they can, but often times; they are just spread too thin. We know first hand how difficult life can be when no one is listening to you. Sometimes, it is in your best interest to get things done for yourself. That’s where we come in. We assist in locating these deadbeats, finding out where they are employed and what type of assets they have. Most of our services are conducted at low fixed rates. The question is, are you tired of waiting and going with the money? You can take control and spend a little money now to help get the payments coming in faster. The choice is yours. The most important thing to know about us is that we are not a collection agency. In our opinion, taking 34% of your child’s money is reprehensible. Most states have a strong court system in place to collect the money for you but they often lack the ability to find the non-paying parent, find their employment and assets so that the money can be taken from them and given to your child. If the court knows where they are, where they work and what assets they have, they can take action immediately. Beware, many of these "child support collection" companies that boast great results are nothing more than collection agencies. Once these collection agencies find the other parent, they then try the traditional collection agency methods, like harassing letters and telephone calls, to get them to pay. Then if the other parent does begin to pay, they take 34% of each of your child’s checks. In our opinion, that’s a stiff price to pay when you compare it to a few hundred dollars, spent one time, to give the court the information they need to enforce your child’s rights for free. 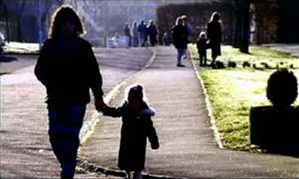 In fact, it is our understanding that many state courts will not acknowledge or allow for the “fee arrangements” made by these so called “child support collection” companies and the money that they get from the deadbeat parent is not applied to the child support debt and may even have to be paid back to the deadbeat, leaving you far worse off then when you started. Although your ultimate goal is to get payment of child support, there may be many different approaches to reach that goal. Sometimes getting the name of the employer and providing it to the court is enough. Other times, you may need proof when the other parent is actively trying to hide their income from you. These cases can be more involved. We can help with either extreme. Our services are provided in several ways, depending on what you believe the other parent is doing and how much information you already know. Because each of the people we are trying to locate is different and many of them have problems, like child support warrants, bill collectors and the like, they can be very difficult to find or very easy to find. We have a basic locate investigation and then an open investigation that we charge you on an hourly basis for. Our basic locate is designed to find the current address and (if available) telephone number of the deadbeat parent. This is designed to help us locate someone who is NOT actively hiding from the world. This is not the choice for someone who is, running from the law, running from bill collectors, transient, drug users, criminals, etc. This is a BASIC locate for everyday people that you and the system have lost track of. If you need us to find someone who is attempting to stay hidden or is on the run, please understand that these cases take more time. There is no “secret super search” on the internet to find people like this. We have the tools and the skills to locate a deadbeat parent for child support collection and the more information you have about this person that you can give to us, the less it should cost. With these types of cases, we recommend that you contact us to discuss your situation. The investigator can then set up a budget with you and go over exactly how we will proceed with your case. We have developed the following investigations to provide you with the right level of detail given what you already know about the other person and their lifestyle. We strongly recommend that you review each carefully and do not choose an investigation based solely on price. You get what you pay for and if you are not honest with yourself about your actual needs, you will not get complete information back! Is the other parent working a normal job and drawing a pay check? Each of these has a significant impact on the how we approach the case. Obviously, if the other parent is taking great efforts to avoid paying, the process is more complicated and time consuming for us. This is designed for those cases where the other parent is believed to have a conventional job where they receive a paycheck, but for some reason the system has failed to detect it or the job is very new. The basic is designed to locate tangible assets like vehicles and real property. If you know that the debtor has such assets and that they should be yield enough money to satisfy your debt, then this should be enough you’re your debtor is more sophisticated or you need to look deeper, the intermediate is recommended. As licensed private investigators, many times we have the ability to develop a vast amount of information about a deadbeat parent, including where they live, work and what they own to help you to collect child support and improve the life of your child.